Here’s his incredible story. It’s proof how YOU could get rich too as soon as Monday, December 31st! All you need to get your huge gain chances going is a “secret formula” I’ll show you today. First, you should see the story of a shy man from Hartebeespoort in the North West province of South Africa. He has a knack for uncovering hidden gems. He may well have studied geology and worked as an engineer for some of the top mining companies but the gems I’m talking about are not those you mine but the hidden gems waiting to be discovered in the stock market. But all his work, and what he found… could make you richer than you ever dreamed! To show you HOW he’s “cracked the code” of penny stocks. And HOW you could use what he found for the chance at a HUGE fortune… FAST! Take a look… this is a real penny stock ARB. This off the radar electrical products company was selling for just 185 cents back in 2009. Fast forward today and you could have been sitting on a 409% gain. With more potential gains to come! So how do you find the good penny stocks like ARB that can make you a fortune? My shy friend has uncovered the secret to real penny stock profits – we’re talking about a special kind of penny stock that has the potential to multiply the profits from a penny stock and make them extraordinary. I’m talking about something he calls his Perpetual Penny Stock Income Secret. It’s something that only a handful of the 200 odd penny stocks on the JSE have and for this reason it is rarely written about because as you may know, for the most part penny stocks are out of reach of the larger, institutional investor, so 9 times out of 10, these kind of stocks get ignored. And it’s the reason most investors miss out, when penny stocks, like ARB, could be about to shoot up. Now there’s also some urgent, breaking news I have to show you too. That’s why you must act on what you’re about to see before, Monday, December 31st. You only need three things to get a chance at gains like that 409% from ARB you saw above. Don’t worry if you don’t know much about the stock market or penny stocks. All you have to do is decide to use the instructions you’re about to see. And you could turn just R10,000 (or less, it’s up to you) into a huge penny stock fortune. Stocks like Capitec made people rich back when it was a cheap off-the-radar stock. Capitec went up from R2.75 since listing in February 2002 to R1,375 in late 2017. That’s more than a 50,000% gain. If you’d put just R10,000 in this share back then. You’d be a multi-millionaire today. And Calgro, AdaptIT, Aspen Pharmaceuticals and many, many others. 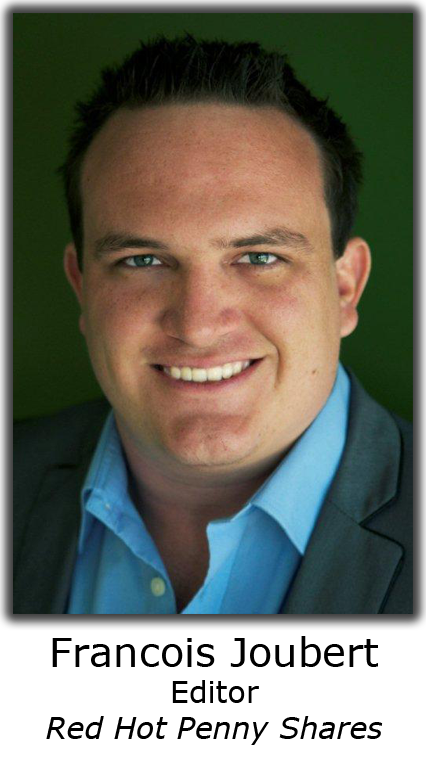 They went from off the radar, tiny penny stocks… to HUGE fortune-makers. You DON’T need to know a lot about finance, stocks, banking, or the markets. You DON’T need a fancy education. You DON’T need a lot of money to start. Just R10,000, or R5,000, even R1,000 will do just fine. And you DON’T need a lot of free time. About 5-10 minutes a week is all it takes. Using what I call the Perpetual Penny Stock Income Secret yourself could be a life-changer for you. Imagine turning just R50,000 into over R5.9 million! Or R10,000 into over R1.19 million. Or just R5,000 into R599,617! I’ll show you how it could’ve happened to you, right now. All from rock-solid penny stock opportunities. Now, if you want what you’ll see for yourself, you need to tell me before, Monday December 31st. Now, I want to remind you that all of these trade examples I’m showing you in this bulletin are theoretical. Or that you’ll score 20 times your money on every single trade. After all, what I’m about to show you is an example of an accelerated opportunity – where you’d need a lot of luck to time the market perfectly and hit only winners. Those kinds of wins, in real life, would be exceptional returns – not typical returns. I’ve never seen ANY other method of trading that’s even remotely as profitable or accurate as I believe the Perpetual Penny Stock Income secret to be. You’ve may never heard of a penny stock called Santova (SNV). R10,000 Turns Into R36,238 in 13 months! Santova (SNV) is no ordinary logistics provider - it does not own any of its ships, trains or planes but it does own a very sophisticated software. Never heard of them...? Don't worry. Remember, the best profit opportunities are rarely featured on TV or covered by the financial newspapers. In January 2014, shares traded for just 109c. With its aggressive and innovative development strategy world wide, the share price rocketed! After a buying frenzy by investors, Santova was then trading at R3.95 by 6 February 2015. That’s a 262.39% gain in just 13 months! If you bought shares at the very start and held on… you could have quickly turned R10,000 into R36,238. That’s a nice start but chump change compared to what’s next. Collect R95,493 After 163% Mega Gain! You could buy Conduit Capital (CND) for a meagre 148c per share on 10 February 2015. Predictably, this growth sent the share price soaring! 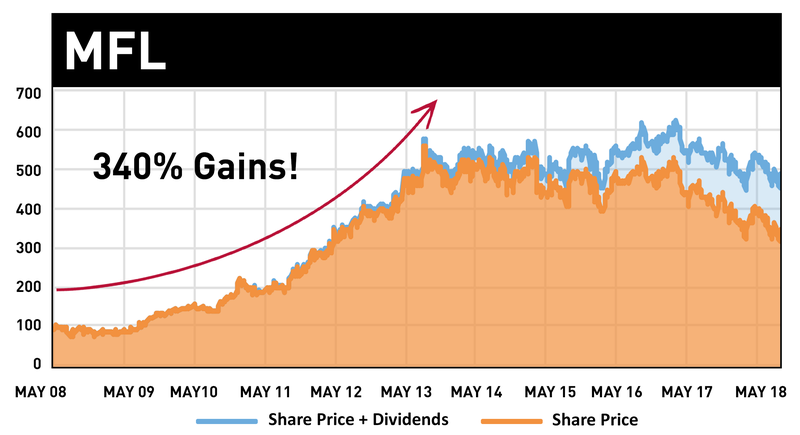 If you had invested your R36,238 from Step #1, the resulting mega-gain would have put a staggering R95,493 in your pocket! Now, compare that with a big share like Telkom. During the same period, its share price jumped around R11. That’s impressive… for a big company. BUT, you would have only bagged a 61% gain. Now look at penny share Conduit again, it jumped a mouth watering 163%! Like I said, penny share gains are unrivaled. Bank R204,628… Now You’re Cookin’ With Gas! You’ve already seen how you could have made R95,493 starting out with a tiny R10,000 initial investment. Right after Conduit ran up, you could have rolled your R95,493 into a little-known mining resource supply company called Insimbi (ISB). It was trading for just 70c a share in December 2015. But by April 2016, shares were trading at 150c! That’s enough to turn your R95,493 into R204,628! Or looking at it another way, you’d be banking an average of R909.46 every day! Only penny shares are this potent. A sneaky 134% in 4 months takes us close to the half a mill mark! Diving into this software development solutions company on 4 May 2016 and getting back out 4 months later on 23 September 2016 would have bagged you a 134% return on your R204,628. Doesn't sound like much but that's massive growth in such a short space of time. All in the space of two years! More than half way to ONE MILLION RAND! Compared to the explosive penny shares already covered in this profit chain, Trustco just takes it one notch higher. From October 2016 to December 2016 you could have bagged a 51% gain. In fact you could be R723,451 richer now, to be precise. Imagine it, almost a million rand from just five, quick-fire trades! Simple trades you can make from a computer with an internet connection, or your telephone. What an amazing feeling it would be to see all this money in your bank account, and it’s all YOURS! More Than R1.19 Million 10 months later! Merafe (MRF) is a little known chrome mining company... and in June 2017, business was good! In fact, by October 2017, its share price soared from 111c to 184c. In other words, you’d be a retirement millionaire! That’s R10,000 into more than R1.19 million in only 3 years! Remember, these penny share explosions happened. That’s the truth. So although it’s improbable you’d ever ride a profit wave just like this, it’s NOT impossible. 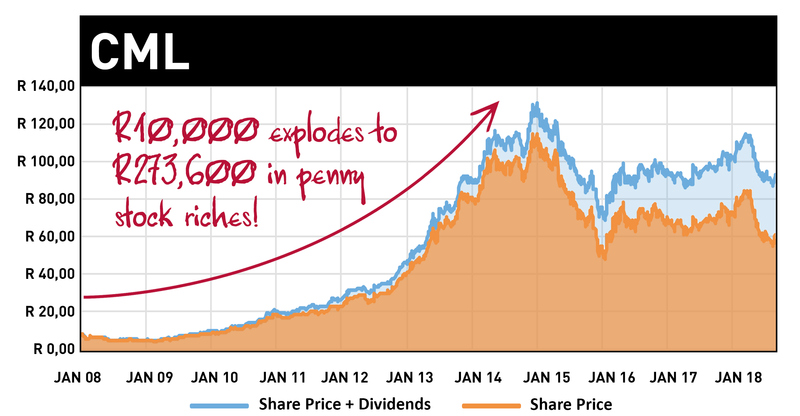 That’s why I’ve given you this example, because I want you to see for yourself the amazing potential of penny shares. The next wave of Perpetual Income Penny Stock wealth is taking place right now! You’ve already seen the proof of what happened to these penny stock plays. 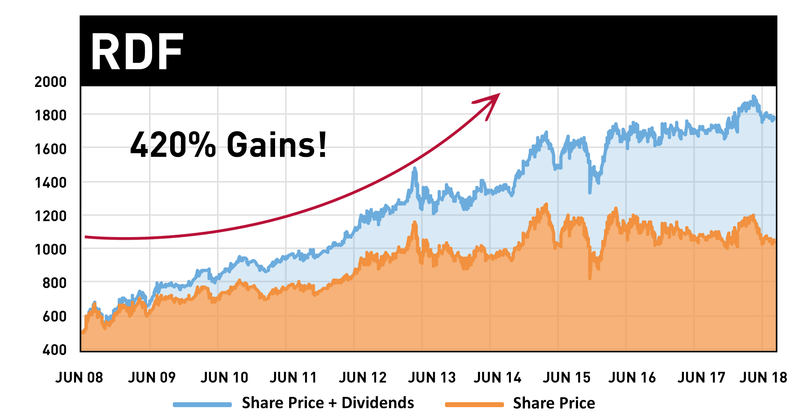 What happens when those gains are multiplied one hundred times over with dividends?! Now, the penny stocks you just saw were for “example purposes only .” I showed them to you to prove how powerful the BEST penny stocks can be. And of course I would never recommend you take a huge pile of cash like you saw above and roll it all into one penny stock. That’s not a smart way to manage your penny stock gains. Which is exactly why you need to see the penny stock income secret in action for yourself. It takes away all the needless guesswork. Reduces the uncertainty. It’s a scientific system for zeroing in on the best penny stocks on the market. Before I show you how the Perpetual Penny Stock Income Formula works, I have a question for you. What Would It Take for You to Do What You Really Want? Now I know you probably missed the huge, life-changing 50,000% gains on Capitec. Just about everyone did, myself included! Same goes for Massmart, Investec, Aspen and all the others. It can be so hard to see the BEST penny stocks ready to shoot up… before they shoot up. Which is why most investors buy the big, “safe” stocks and call it a day. That leads to smaller gains over time. If you have lots of years to work with, it’s an ok plan. If you don’t have all that time, you need a different plan. That’s where the Perpetual Penny Stock Income Secret comes in. What would it take for you to stop doing what you don’t want to do and start doing what you DO want to do? R1 million? R2 million, R4 million, R10 million? Being in the right place at the right time. … and POUNCING on it! No one in history has ever seen what you’re about to see. Especially not in the fast-moving penny stock world! And now, for the first time ever, your secret to penny stock riches is ready for prime time. When you add up all the research costs, all the time my team and I have put into this project, the bill comes to 10s of thousands. He spent that much on a system for finding the best penny stocks. Peter Lynch described these stocks as giving individual investors an inherent advantage over large investment funds. Warren Buffett exploited these stocks for years and made his first million with them. First, if you want the biggest penny stock gains, you have to know where to look. If you want to beat the market, you can’t buy Facebook and Tesla and Amazon today. You have to focus on cheap stocks. Cheap penny stocks that can go up big, for the right reasons. Third, you want cheap penny stocks that have strong momentum power. When they start going up, they shoot up! They don’t just crawl along. Fourth, you want a spark to ignite the rocket ride! You need a catalyst. 1) Cheap penny stocks with 2) real businesses behind them that 3) can go up for the right reasons and have a 4) spark to ignite the big move up. That’s four steps to your brand-new Perpetual Penny Stock Income formula in one short sentence. ARRGH! But how do you find these penny stock superstars?! You’re about to see! Even better… you don’t have to do any hard work. You don’t have to crunch any numbers. You don’t have to do anything other than decide to invest! 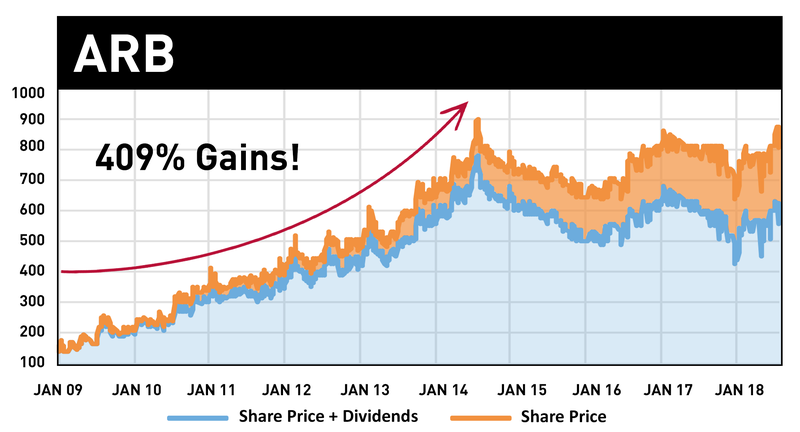 You get the good stuff… the best penny stock gain chances. We call our secret Perpetual Income. It’s the computer part to generate six figure gains. The perpetual income part of the secret is crucial to the gains I’m talking about. You see my system filters the 400+ stocks on the JSE, into the 200+ penny stocks and from there, he uncovers just a handful and I mean a handful. Right now I’m talking about just three stocks that hold the potential for 500+% gains. … This was an investigation no human could ever do with the naked eye. I was searching for the “connecting thread” that penny stocks with 500% gains (or more) all shared. That connecting thread, our perpetual income secret. The result… you get cheap penny stocks with HUGE gain potential. Now I don’t mean to brag, but this perpetual penny stock income secret could change investing FOREVER. And NO ONE (other than you, of course) knows about it! All Kinds of Penny Stocks, All Industries! It doesn’t matter if it’s a tech stock. An oil and gas stock. A cryptocurrency player. Biotech. Retail. Consumer goods. Heavy machinery. The perpetual income factor does not care what business the company behind a penny stock is in. All this secret does is spit out the penny stocks that fit all our criteria that have the biggest gain potential. You get the penny stocks with the best shot to soar. That’s it. In fact, I can show you at least half a dozen different chances you could’ve had to generate 300, 500% even 2,000+% on your money or more using back tested penny stocks the perpetual penny stock income secret uncovered. To make more than 500% on each stock. And the fact is, there’s more huge penny stock gain chances right around the corner. More chances to turn small starting stakes into huge sums of money with the BEST penny stocks. That’s money you can use to build the future YOU want. You’ll see how close you are to your possible new future in just a second. First, I should introduce myself. I’m the chief Penny Stock Strategist for Fleet Street Publications. We’re part of one of the largest fully independent market research organizations in the world today called Agora. More people read our information each week, for example, than receive newspapers like The Washington Post or the Los Angeles Times . I research the best new penny stock ideas you can invest in… looking for incredible market catalysts that have the power to reward early investors with triple- and quadruple-digit gains. Red Hot Penny Shares is the only place in the entire world where I recommend tiny stocks that my research indicates could soar 100-500% or higher. Granted, not all of my picks are guaranteed to go this high. My readers have still had the chance to see many impressive triple-digit gains. And I can tell you — with 100% conviction — that the opportunity for early investors in this penny stock niche is truly unprecedented. We’re talking about uniquely differentiated quality, small companies. Now, I’ll be the first to concede that most penny stocks are garbage. You’re costing yourself tens of thousands… even millions of rands! Using the Perpetual Penny Stock Income Secret could turn just R1,000, R10,000, or R100,000 into a sum of money so vast you never have to worry about anything ever again. In fact, I’d like to send you a research paper right now that I’ve just finished. The Perpetual Income factor sorted out only the penny stocks with the chance to deliver the biggest gains. Then I swept through the final list with my own final analysis. Three cheap stocks made the cut. You get everything you need to know about all three right now. They can be in your hands – stock name, ticker, all the research – in minutes. You need to see those 5 chances you could’ve had to generate six figures(or more!) with Perpetual Income Penny Stocks. Back in 2008, you could have had a chance at ARH…. Then there was CML, for a 2,376% win starting back in January 2009. Back then not many people had heard of Coronation Fund Managers. But since 2009, CML met all our criteria for the perfect Perpetual Income Penny Stock. Over the last 6 years, it’s generated investors 2,376% in value between January 2009 and December 2014. The share price shot up from 462c a share to R115 in 2014. What’s more, the dividends you would’ve received from the share during this time, would’ve equalled a whopping 331% return on your initial investment! Again, this company was completely off most people’s radar… they were trading for just over 321 cents per share on 21 November 2008. But it’s been a perpetual dividend payer. It hasn’t missed a dividend since 1992! It’s first ever dividend was a mere 1.44c. It’s most recent dividend was 115c, a massive 79 times bigger! Had you invested on 21 November 2008, you’d have received 832cps worth of dividends by now. That’s a return of 256% on dividends alone. 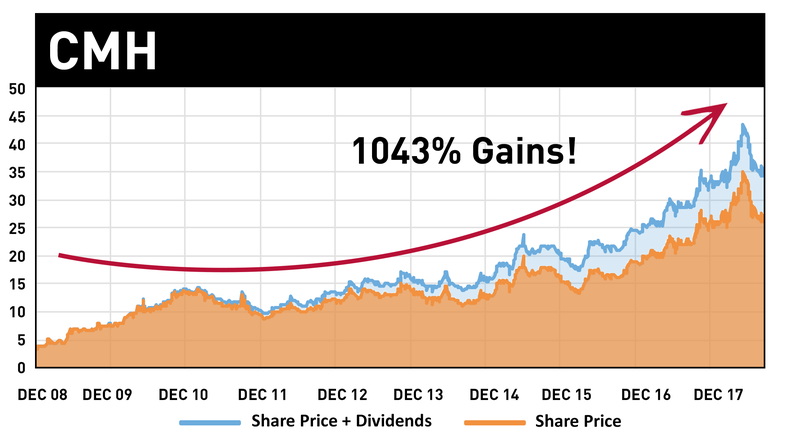 The total return from this stock sits at 1043.86% today! Redefine Properties share price was a mere R5.42 in 2008. Had you bought it, it would’ve paid you R7.03 in dividends per share since then. Add in the capital gains, and you would’ve made 320% from Redefine! That’s nearly DOUBLE what the JSE All Share index achieved in the same time! The Perpetual Income Penny Stock hits just keep on coming! On 3 September 2010 you could’ve picked up some of Metrofile’s shares at 140c each. Since then, the company’s paid out 132cps in dividends, returning you 94% on your original investment from dividends alone. And shares haven't slowed down since. Now, like I said before, gains like these are not guaranteed… and there’s always the chance you see losers. Penny stocks are volatile – a high risk, high reward opportunity. So if you are the type that just wants to buy and hold, this is not for you. Because there is massive gain potential at play. The R10,000 or R1,000 I mentioned earlier… that’s all it would’ve taken to get in on these penny stocks before they started to shoot up. And you could’ve multiplied your money over and over again. That’s the real power of the Perpetual Income Penny Stock Secret for finding the BEST penny stocks! R10,000 even R1,000 gets you started. You don’t have to be an expert in the markets or spend all day “tied to your computer” waiting for complicated trading signals. The Perpetual Income Formula is the ultimate way to get the biggest gain chances from the market’s best hidden penny stocks. And today, because you're seeing this special report, the Perpetual Income Penny Stock Secret is open to you. Today we’re ready to reveal what we’ve been working on for all these years. If you’ve made it this far, there’s a place reserved for you. Remember, all the most famous business titans through history, despite how hard they worked, all agreed that dash of luck can make the difference. That’s exactly where you’re at right now. You’ve seen an extraordinary example of how just R10,000 could’ve turned into over R1.19 million. You’ve seen 5 back tested examples of how using the Perpetual Income Penny Stock Secret yourself could’ve made you as much as 2,376% on just one stock. Now’s the time to decide. But act fast! There could be so many folks on the inside with this secret that by Monday, December 31st, this offer may shut down entirely to new members! 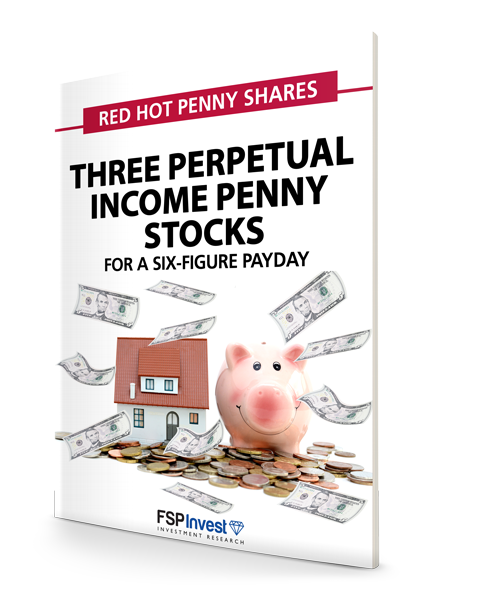 Opportunity Knocks… The Perpetual Income Penny Stock Secret Is Now Yours – Three Perpetual Income Penny Stocks...for a six-figure payday! Right now, with your permission, I’d like to send you the complete research on three penny stocks that all fit the Perpetual Income Secret perfectly. All three of these penny stocks could go up 500% (or more) in the months ahead. That’s THREE chances to make serious money. THREE chances to put the secret to work for yourself. Remember, there’s no hard work on your part. All you have to do is read our research, see if you like the conclusions, and buy shares if you decide you want to get in the game. We show you the results of our screening process, how the penny stocks stack up in terms of the Perpetual Income Penny Stock formula… everything. Any normal brokerage can handle these trades, if you decide you want to jump in. And putting this secret in your corner could change your life. The information in this report could be worth R1,000. You get your copy free. Simply for accepting the charter membership space reserved in your name right now. Here’s what else you get right now, my compliments. This is perhaps the most valuable report I’ve put together because it covers the timeless fundamentals of successful penny share investing. It’s a crash course perfect for beginners. Exactly how much money you should invest in a penny shares. Why brokers don’t care if you win or lose… they make commission no matter what, so be wary of what they recommend! (See bonus #4 for a solution). The fastest, easiest way to make money in the market (hint: it’s NOT those big shares you hear about on TV). 5 tell-tale signs of a breakout penny share. 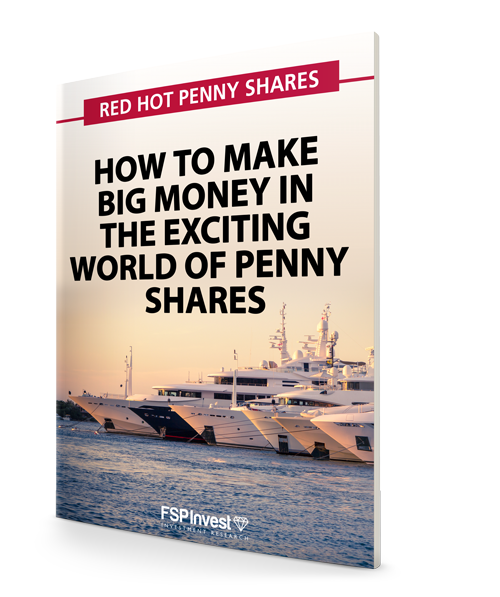 Join Red Hot Penny Shares risk-free today and this report is yours to keep, even if you cancel your membership! Anyone can make some money buying shares, but by following a few simple techniques, you can make a SERIOUS amount of money. 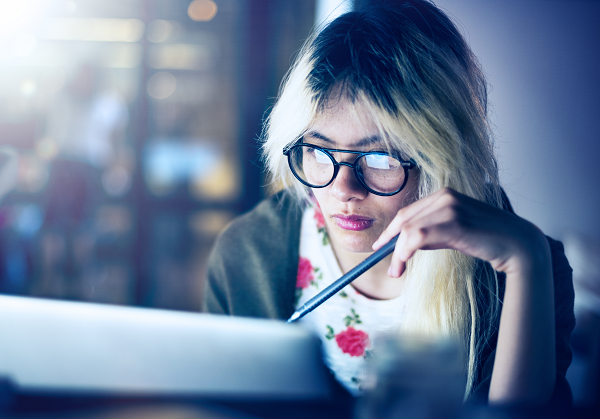 With this report – you'll quickly grasp the tools for evaluating any share – including PE ratios, earnings yield, net asset value, cash flow, and more. Plus, it reveals many of the secrets behind our highly profitable Income Multiplier system. That’s what you get with this third report called, The Investor's Toolkit! 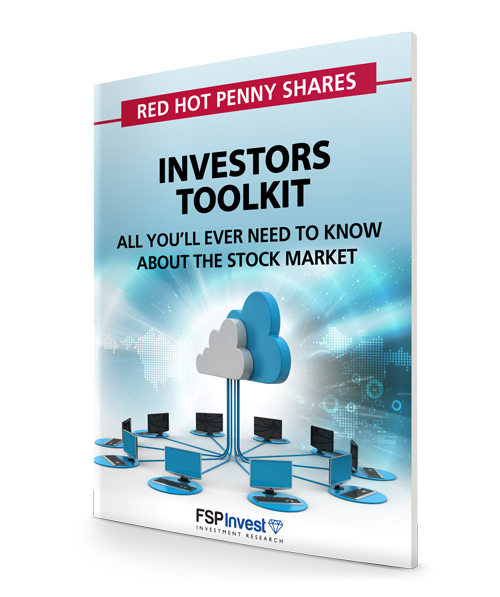 This report is yours FREE, with your risk-free membership to Red Hot Penny Shares. Along with any profit-taking instructions. So please keep your eye on your inbox. You’re never alone in this venture. Get Red Hot Penny Shares for Just R2.40 a Day! Subscribe to Red Hot Penny Shares for one year for only R870. That's only R2.40 a day. Look at all those bonuses! In fact, as far as I can tell, this is the best offer I’ve ever made! But if Red Hot Penny Shares is so good, why am I practically giving it away? At R870 we risk losing money. To turn a profit, we need your repeat business. That means giving you a superior newsletter… one you’re so thrilled with, you’ll stay with us year after year. If you don’t, we go broke! Remember our research is 100% independent, so we’re not making any money on the side from crappy companies paying us to pump their stocks. So, it’s in my best interests to really over-deliver here. Something I’m confident I can do in every way. That’s why Red Hot Penny Shares is so cheap. Risk-Free for an Entire Year! 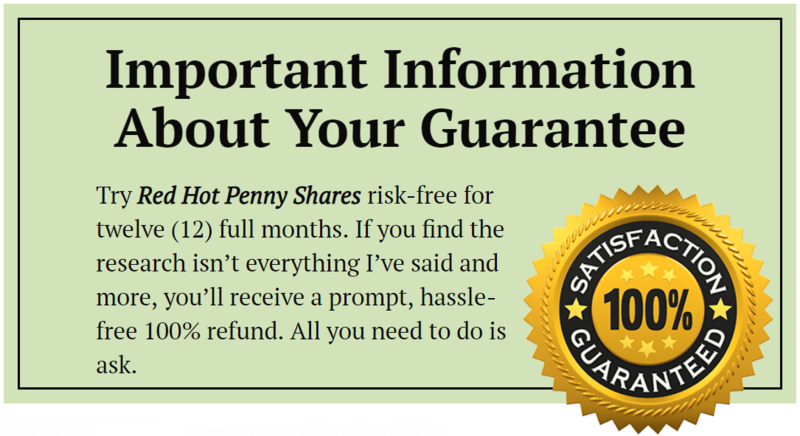 When you subscribe to Red Hot Penny Shares today, you do so completely risk-free for a full year. So you have absolutely nothing to lose by acting right now! I’m sure you agree that’s a square deal. If I don’t deliver, you don’t pay a cent (and you can keep every report AND every bonus you’ll receive). Simply because today, you made the decision to give Red Hot Penny Shares a try. With the unmatched profitability of penny stocks and the “Perpetual Penny Stock Income Secret” ,you could have turned R10,000 into a R1.19 million fortune. Even if that exact scenario may have been impossible, you know making a fortune from penny stocks is NOT! When you think about it like that, you simply have to respond to this offer right away. Are you ready and willing to harness the wealth generating power of the “Perpetual Penny Stock Income Secret”? Then I urge you to subscribe to Red Hot Penny Shares today. You do so risk-free for 12 full months. This is your best shot at ultimate freedom. 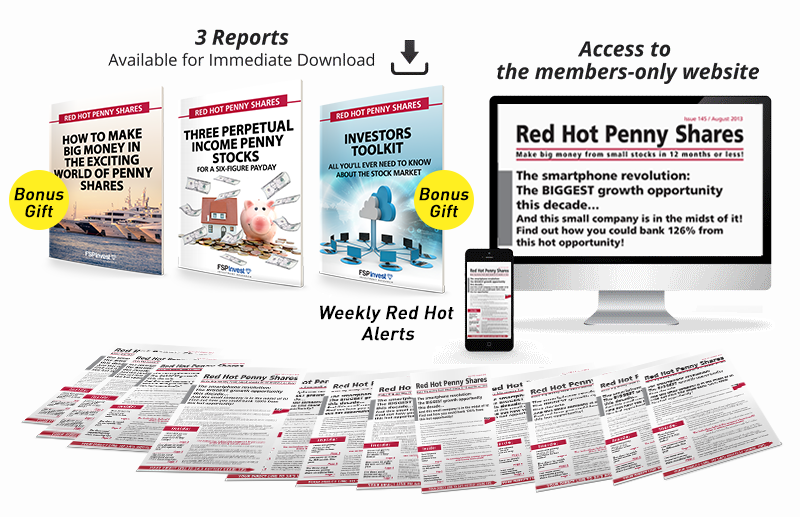 Also, when you subscribe to Red Hot Penny Shares today, you’ll get instant access to all three FREE bonuses, yours to keep no matter what. I’ll deliver your reports immediately so there’s no waiting around. P.S. – Remember, you get Three Perpetual income penny stock recommendations the moment you accept the spot reserved for you right now. PLUS another one in your first issue! EVERY penny stock has AT LEAST 100% gain potential! That’s FOUR total perpetual income penny stocks. In your hands. Just minutes from now. You saw 5 back tested examples of perpetual income penny stocks that could’ve made you as much as 2,376%. The next one… could be the one that puts YOUR Six Figure payday into overdrive and unlocks seven figures of new wealth for you! This charter offer to join Red Hot Penny Shares ends Monday, December 31st. Don’t delay – click below right now.